Sometimes the ride gets tough...and often virtually impossible. Mark often says that it's not a ride unless there's at least one "hike-a-bike." Yeah...that part of the trail that just can't be ridden (well...at least by me!) That part of the trail that requires you to get out of the saddle and push. Over the years, as my skill level has improved, the trails have to be more steep and more difficult to coax me off of my bike...but, sometimes it just can't be avoided. Often, the hike-a-bike isn't caused by some obnoxious hill...but instead, it's the result of the unexpected obstacles thrown into our path. It could be debris from a storm, a rock garden that just CANNOT be navigated, or mud pits that sink your bike "bottom bracket deep." It's obstacles like these which, after looking unsuccessfully for some sort of SIGNS OF MAINTENANCE around them, cause us to throw our bikes over our shoulders and do our best to hike through. 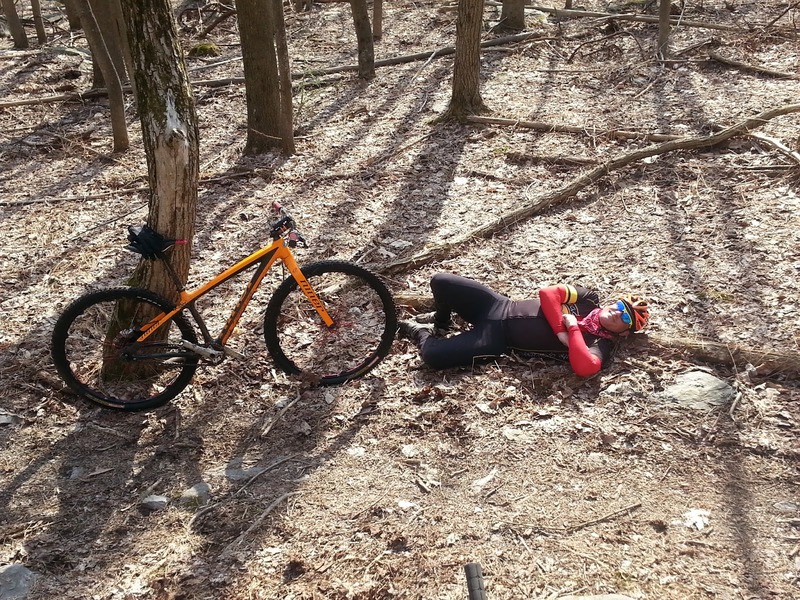 Ironically, sometimes...not often..but sometimes, you may actually CHOOSE the "hike-a-bike" over another trail. Maybe it's a ride when you're body is saying "No Más" or possibly it's a ride in which your watch is telling you that you need to get home. It's those times that the "hike-a bike" actually is your best option and becomes the shortest distance between you and the ice cream at the end of the ride! 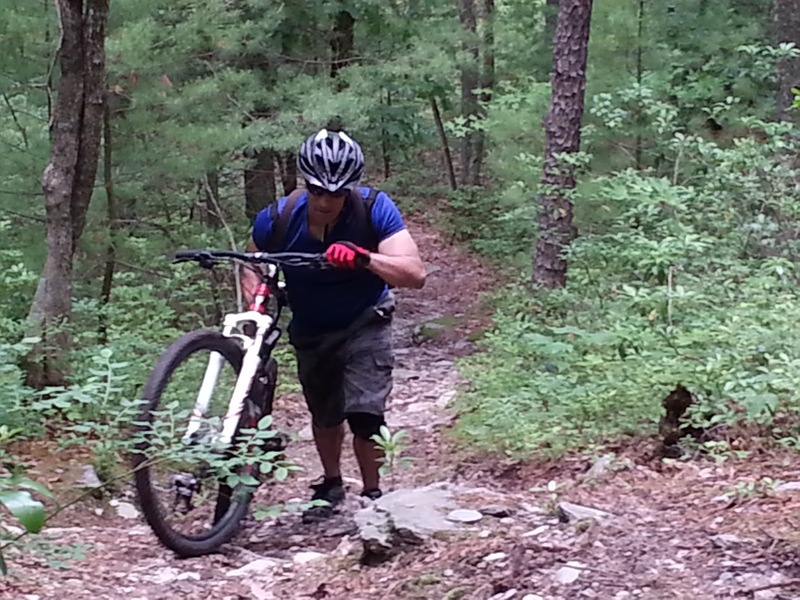 If you haven't figured out by now...mountain biking is, for me, a metaphor for life. Often, in life, like on the trails...unexpected sh*t is thrown in front of you with no way around it...except to go through it. Or, maybe, life might seem like you're pushing your way up a hill that seemingly has no end. Life's journey, like the contour of the trails I ride, will, at some point, force you to take a deep breath and slow down. Which is really difficult for me. I've written here often that I'm at my worst when I'm inactive...and, as I'm now only two weeks into a long recovery from back surgery, I'm feeling pretty damn inactive. Right now, for me, life's become one long hike-a-bike. With an amazing wife (and my great boss) correctly claiming that I have "one serious case of ADD"...I'm very aware that inactivity isn't the best thing for my brain. 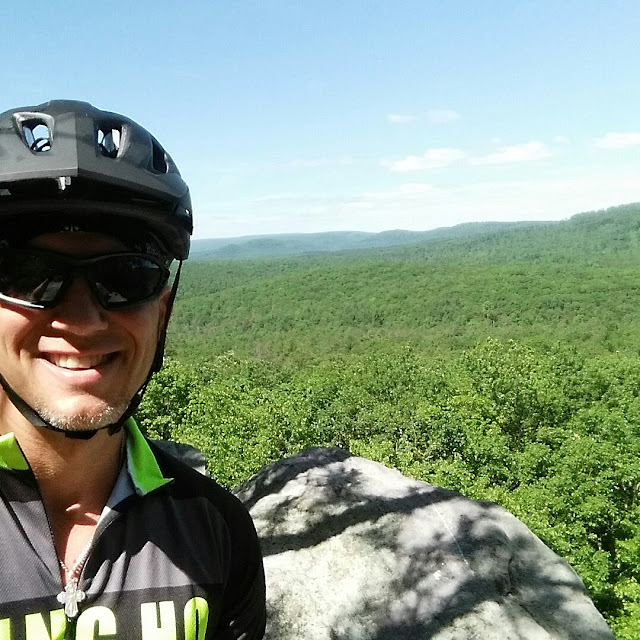 Oh...I've got plenty to occupy my mind....like writing this blog, a little advance lesson planning for my classes, and plenty of nerdy books to read...but physically, for someone who loves the ride, I've been forced to get out of the saddle for a while. The thing to remember is...no matter how long or difficult the "hike-a-bike" is...as long as you keep moving (one foot in front of the other) it's only one small part of the ride. And, when it's over, the "hike-a-bike" provides important lessons learned ("I'll never go that way again! "), a sense of accomplishment, a fun story to tell (usually in hindsight), and...at the top of the hill...a pretty damn good view. 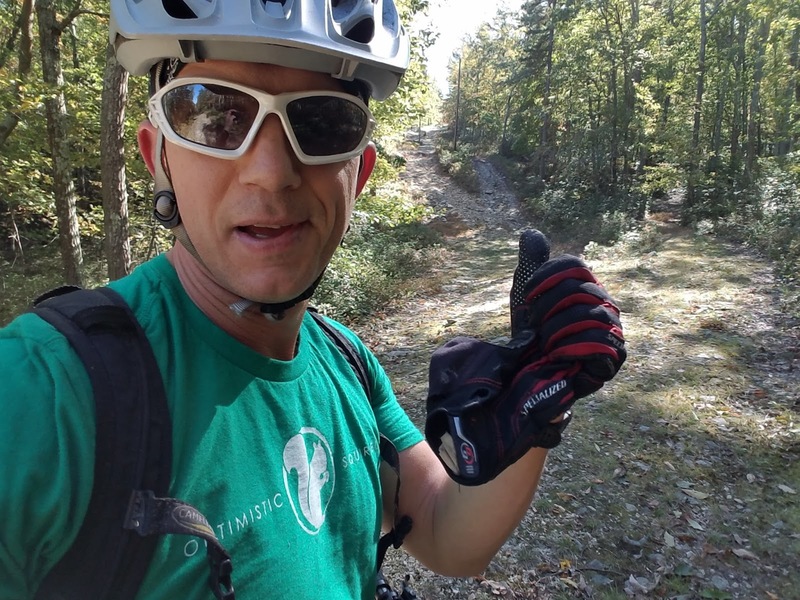 Be sure to check out ALL TRAILS LEAD TO ICE CREAM website for trail maps, directions to trail heads, our favorite ice cream shops, and ALL of our ride pics! HIGHPEAKSHIKING.COM is also worth your while!